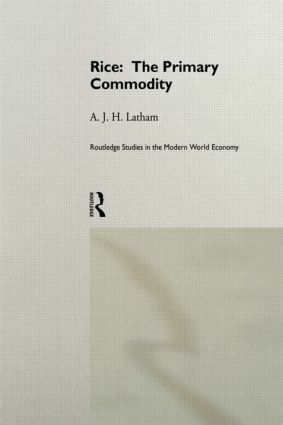 Rice: The Primary Commodity de-mystifies the trade, outlines its workings and the problems which confront it. A.J. Latham outlines the history and cultivation of rice, and the research programmes which have done so much to revolutionise its production in recent years. Including case studies of the rice markets in India, Pakistan, Malaysia, Indonesia, Japan, Brazil, the USA and many other countries, this book gives an up-to-date and comprehensive view of the unpredictable and rapidly changing world market in rice.